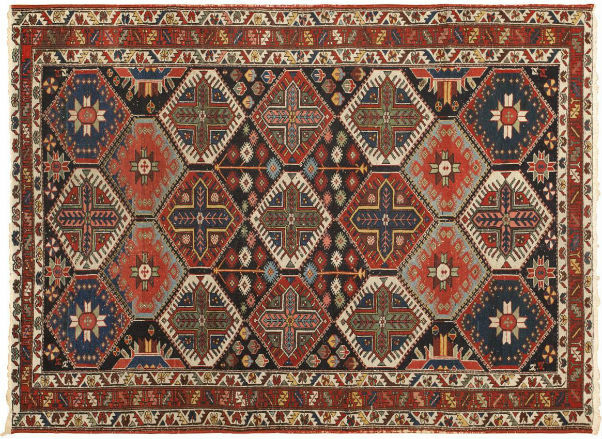 The late 19th and early 20th centuries were arguably the most dazzling eras of British rug weaving and design. The iconic William Morris Arts & Crafts rugs from that time period exemplify the highest standards of artistry and craftsmanship. Leaders of the Arts & Crafts movement aspired to bridge the gap between artistic expression and the quality and way of construction. 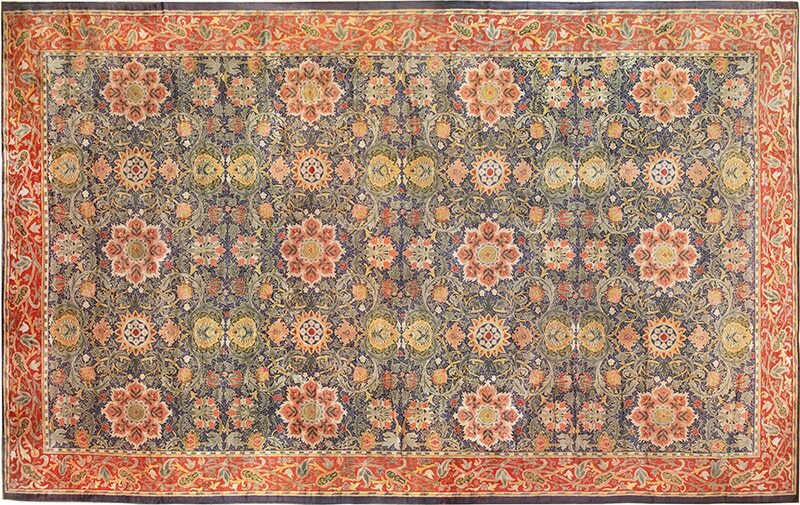 The art’s and crafts movement ranged from 1880 to 1920 and the rug designs from this golden age are quite sought after. 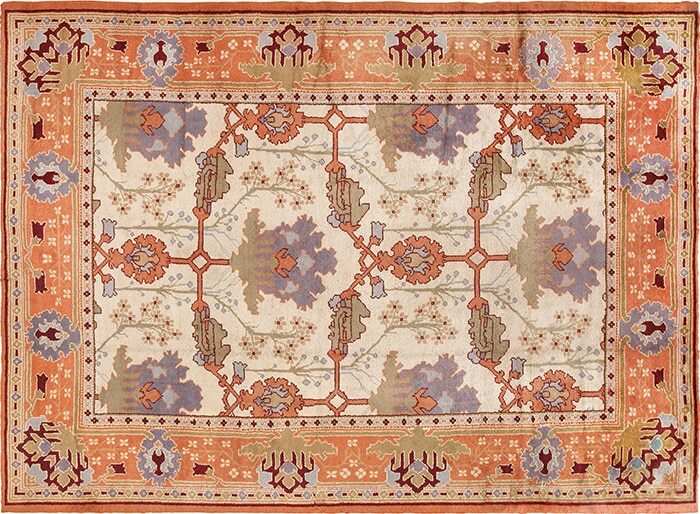 The antique rugs from Britain were some of the first to embrace the Arts & Crafts movement. It wasn’t long till these new and exciting patterns gained popularity and spread throughout Europe and North America. The style of ornamentation has been described as feudal, romantic and even folksy. Designers aimed to incorporate traditional craftsmanship and simple construction methodology to create breathtaking pieces. In 1887 English artist and bookbinder T.J. Cobden Sanderson, suggested that a new group be named the “Arts and Crafts Exhibition Society” and a result he was the first to use the term “Art and Crafts” and also is credited with naming this new emerging movement. The Arts & Crafts movement was inspired by a degradation of product standards that resulted from the factory production age. The rise of machinery in manufacturing caused a noticeable decline in uniqueness and crafts. These anti industrial reformers promoted economic advancement and social change. They wanted to eliminate poor quality and “artificial” items from 19th century British society. They saw a plethora of uninteresting items on display at the Great Exhibition of 1851 and became inspired to launch a campaign for originality and uniqueness. 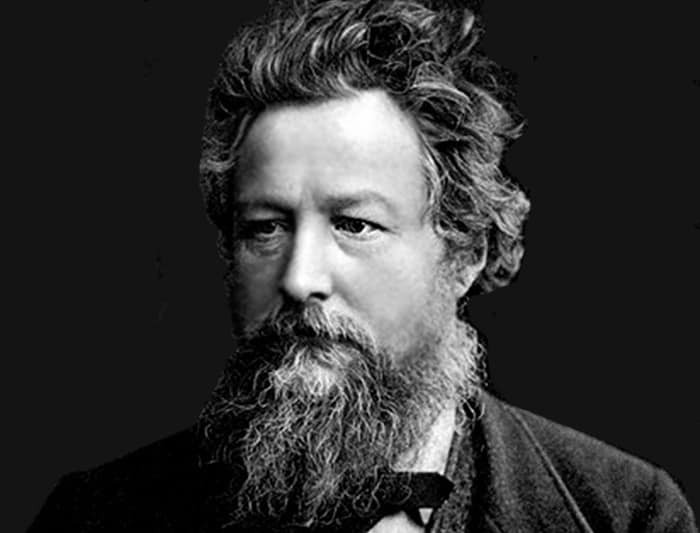 William Morris was an English designer, as well as an uplifting social activist and writer. 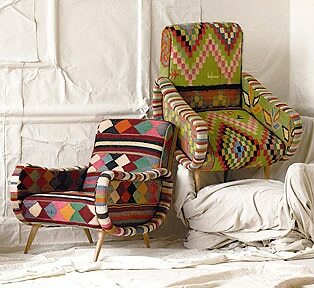 Morris is credited with sparking the rebirth of textile arts and traditional means of production. In 1861, Morris and a small group of designers opened an incredibly fashionable design company that grew to be largely successful. 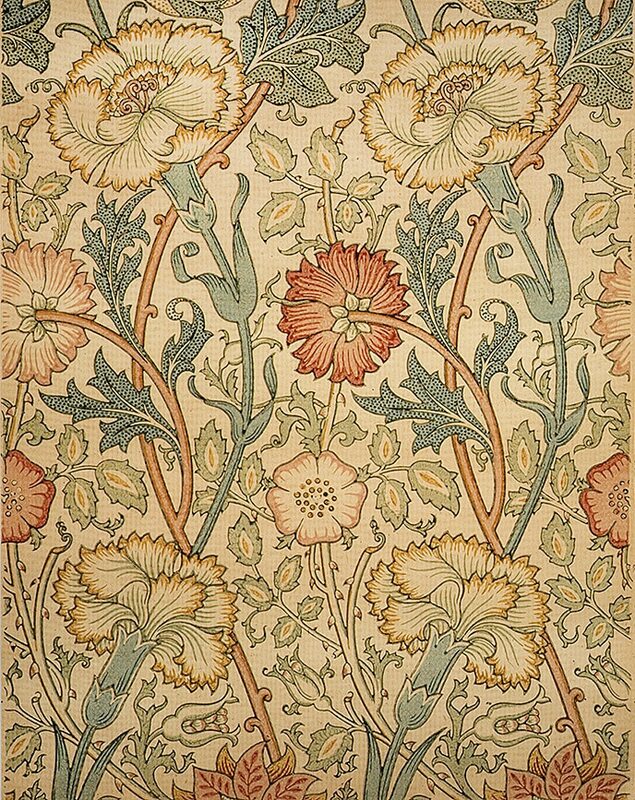 In 1881, the great author, Henry James, once described the great British designer William Morris as “the poet and paper-maker”. Morris left behind quite q large body of work in many different mediums such as textiles, books, furniture, stained glass and area rugs. But at the end, he is most remembered for the magnificently wallpapers that he designed. Morris got much of his inspiration from the natural world. Through his interior decor pieces, Morris set out to convert rooms or spaces into meadows with beautiful trees meandering, vines and plants. From 1862, when he was part of Morris, Marshall, Faulkner and Company, and later when he created his own Morris & Company, Morris designed 5 ceiling papers 41 uniquely rendered wallpapers. The image below is of a block printed wallpaper titled “Pink and Rose”. This 1890 example is representative of the quintessential William Morris design which is reflects Morris’s fascination and love of naturalism. Morris’s belief that a successful design must incorporate beauty, imagination, and order can easily be seen in this artistic example of his work. Morris was a huge commercial success and his works are some of the most sought after pieces in the world of design and decor. He is also credited with almost single handedly reviving the British textile arts as well as their methods of production (since he was a true arts and crafts activist). Morris famously stated that crafting rugs with machinery was “altogether an evil.” He masterminded one of the most well known styles of Arts & Crafts, recognizable by its twisting and arching patterns and simple, elegant floral design prints. 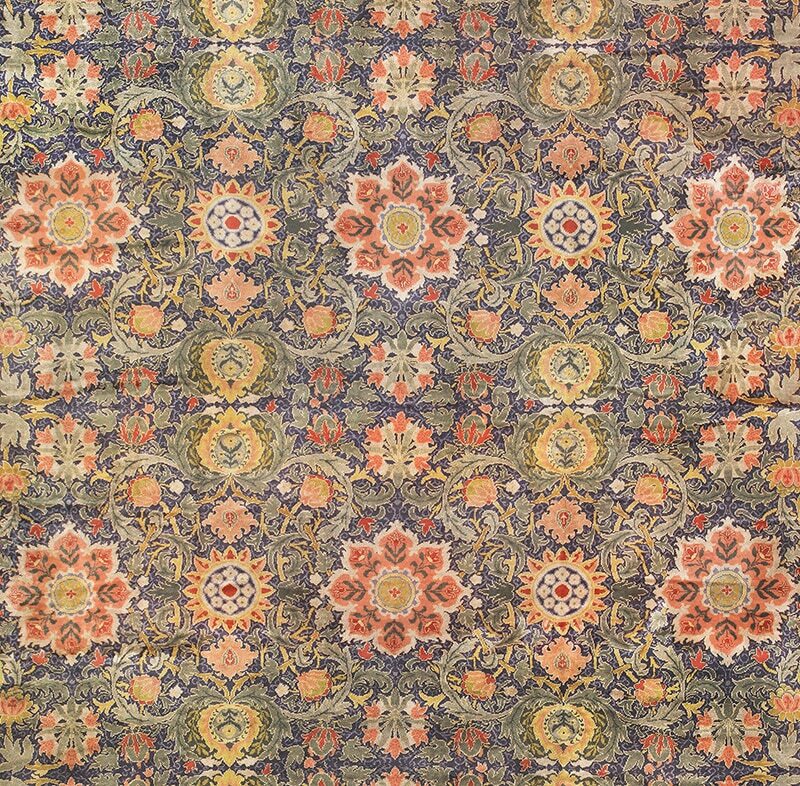 The Morris & Co.’s rugs are reminiscent of Persian garden design carpets in that they are smartly styled depictions of English gardens. Donegal, also started producing highly desirable Irish rugs in the late 19th century. The Donegal rugs were predominantly created by English architect C.F.A. Voysey and Gavin Morton. The hand-crafted Voysey rugs typically woven in England, Scotland, and Ireland. Voysey had a knack for using contrasting shapes to decorate flat monochromatic spaces. Dark outlines added a flair of drama to his signature pattern and Celtic rug designs. The first Donegal rugs were hand knotted over a dense wool foundation. Voysey’s designs inspired many other artists, leading to the appearance of a large volume of lookalike rugs. Over the years, the antique Arts & Crafts rugs have been reproduced in countries like Persia, Turkey, China, and India. 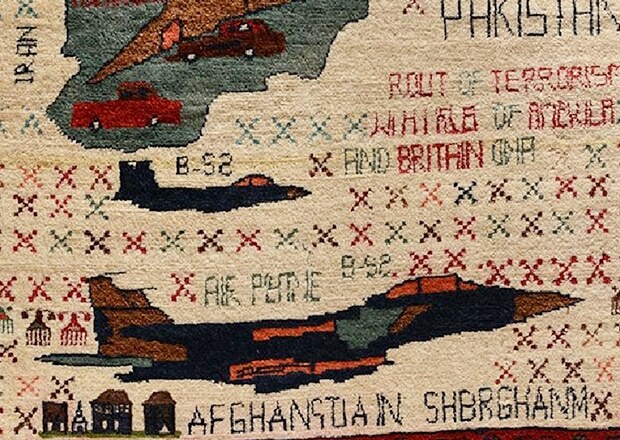 These rugs experienced a renewed wave of popularity in the 1990’s. 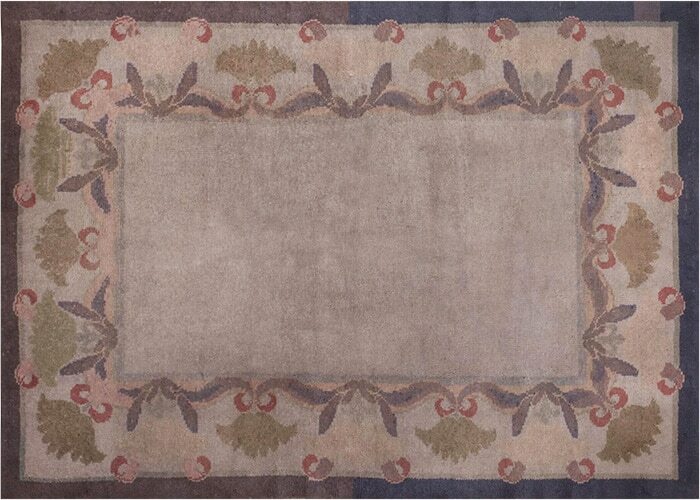 To this day, the William Morris rugs stand as an inspiration for a wide range of productions. 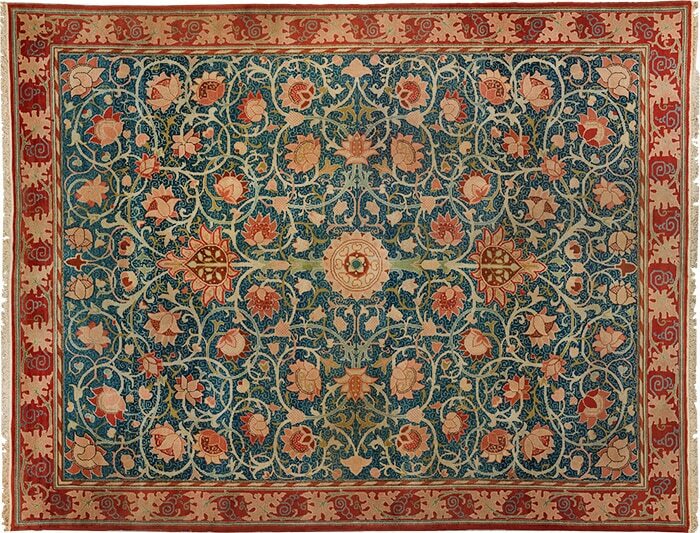 This rug blog about the magnificent William Morris rugs and designs was published by Nazmiyal Antique Rug Gallery in Manhattan, NYC.